Jenner, formerly Bruce Jenner, came out transgender in 2015. She went on to star in two seasons of her own reality show. 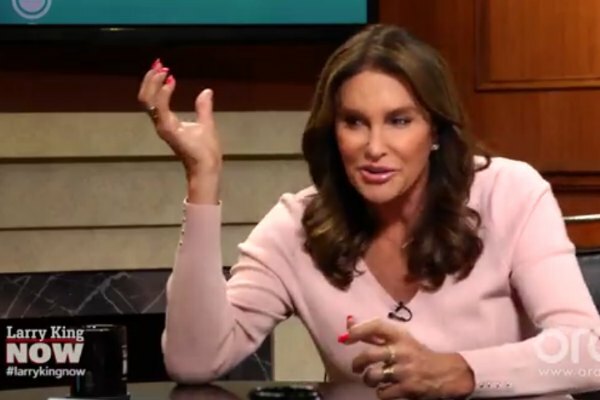 Earlier this year, Jenner revealed that she's had gender reassignment surgery. Morgan interviewed Jenner for an episode of Life Stories, The Sun reported. Morgan pressed on, asking Jenner for details about her transition. “How does your physique compare now to what it did then? Obviously, certain areas we know about,” Morgan said. Jenner refused to answer the question. Instead she criticized Morgan's line of questioning. “This is serious stuff. People die over these issues. It's not a joke,” Jenner added. In 2014, transgender activist Janet Mock claimed that Morgan had “sensationalized” her story.